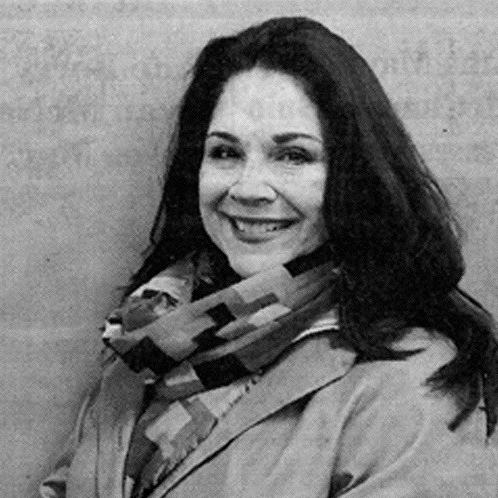 JAN ROSS has been creating art since the time she could hold a crayon, however, her formal arts education began at the Chicago Academy of Fine Arts. 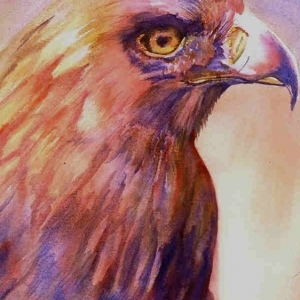 She continued her studies while living/traveling in Europe for 6 years, as well as ongoing education through workshops with some of America’s top watercolor instructors. These include: M. Stephen Doherty, Editor in Chief, American Artist Magazine, Jan Kunz, Judi Betts, Jim Kosvanec, Gerald Brommer, Joseph Bohler, Joseph Fettingis, Mel Stabin, Betty Carr, John Salminen, Arne Westerman, Mary Whyte, Jack Shields, and Gary Curtis. 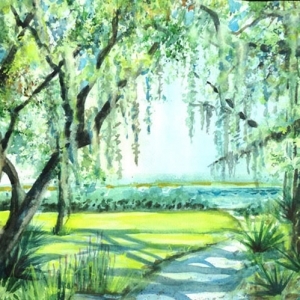 The Georgia Watercolor Society, The Missouri Watercolor Society, Western Colorado Watercolor Society, Rhode Island Watercolor Society, Watercolor Society of Alabama, Alaska Watercolor Society and North East Watercolor Society, have awarded her “Signature Membership”, their highest credential for achievement in watercolors. 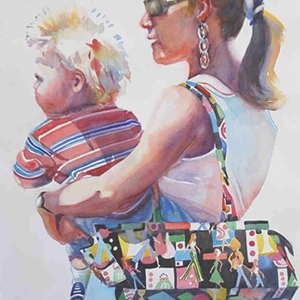 She also received her “Member of Excellence”, the credential of highest ranking with the Atlanta Artists Center, the largest art organization in the Southeastern USA, in 2005. 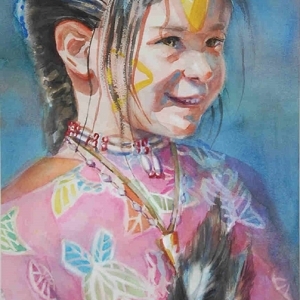 Her award-winning watercolors been accepted in more than 450 Local, Regional, National and International Juried Competitions, as well as numerous one- woman and invitational exhibitions. 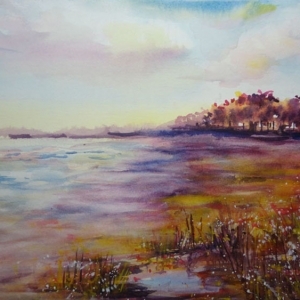 Jan’s goal of having her work exhibited in all 50 states is nearly accomplished, having exhibited in 42 states as of 2016. Numerous local and national publications have featured Jan’s work. 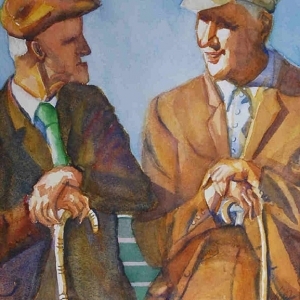 Most notably the watercolor, “On the Bit,” appeared on the cover of the International Magazine, “The Chronicle of the Horse” and the Missouri Watercolor Society’s International “Watercolor Studio” magazine. 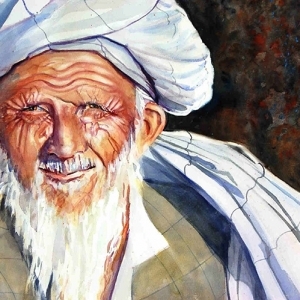 In 2008, Cobb County Commissioners and Board of Education is including her watercolor painting, “Baba, Afghani Elder” in a book celebrating top artists in Cobb County, for their 175th Anniversary. 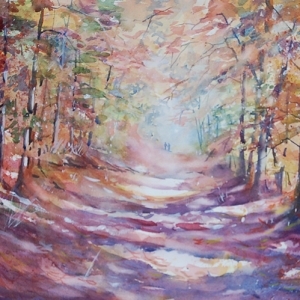 Jan continuously strives to capture the ‘spirit’ of people, the essence of a place and the many textures of things around her. Having traveled to 27 foreign countries, this Ohio native has been fortunate to have an endless supply of subject matter. Her work is included in collections across the USA and Europe. Currently Jan lives on Haig Point, on Daufuskie Island, S.C., with her husband, Robert, and ‘Studio’ cat, Sweetie.